DAVID YURMAN BEGAN AS A DREAM OF TWO ARTISTS TO CREATE BEAUTIFUL TINGS TOGETHER. Today, the company is internationally recognized as America’s leading fine jewelry and timepiece brand. Inspired by fine art, trained by great sculptors, and passionate about quality and craftsmanship, David Yurman brings to fine jewelry innovation, an artist’s perspective and an original style. 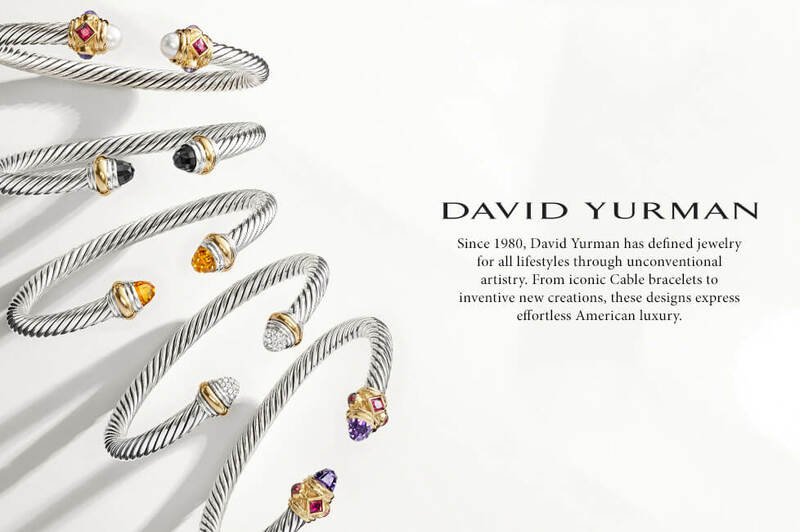 Fill out the form and schedule a time to come in and view our David Yurman® selection.